Space Florida launched the WE ARE GO campaign to inspire people to explore the wonders of where the final frontier begins: Florida. The famous beaches, theme parks, and extraordinary space experiences were surely enough to get space-crazed tourists to visit Cape Canaveral, but Space Florida wanted more. They wanted to engage, educate, and build a community of space lovers in hopes that they would come again and again. We all know building communities on any platform is difficult. It requires the right mix of education, fun, valuable features, and engaging visuals to be successful. Building a community on an app? Sometimes even more challenging. WE ARE GO tasked TriFin Labs with developing the Vacationauts web and mobile app. This app couldn’t be basic, it couldn’t be boring, and it had to really engage users as soon as they logged in. Taking this into consideration, the TriFin design team set out to create a modern, forward-thinking app, that would use all of the features that we know would keep people coming back. 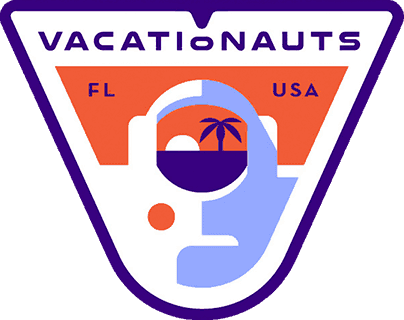 Vacationaut Compass – Allowing users to always know their current distance from the launch station at Cape Canaveral. Interactive Map – Florida provides a great number of space attractions, so we developed a map that plots out the locations for the users to experience while on vacation in the Sunshine State. These features, combined with a beautiful and engaging design, has proven to be successful in building a community of space enthusiasts.